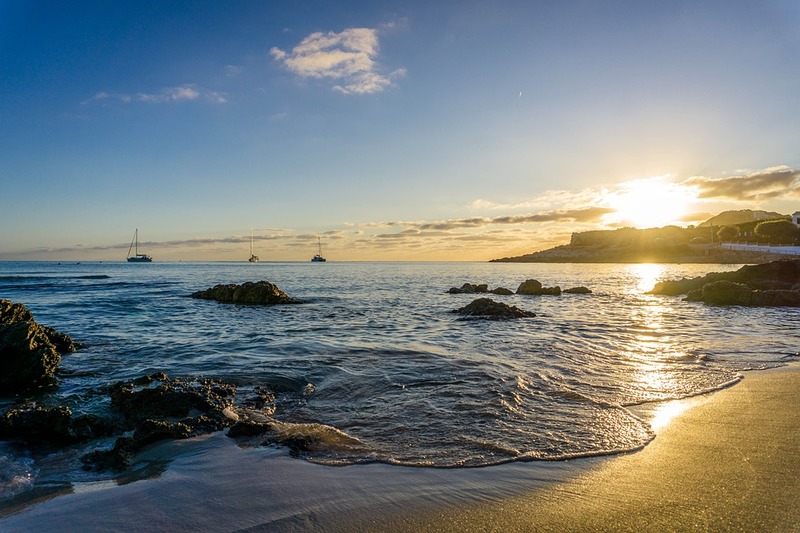 As you know from, An Introduction to the Balearic Islands, these Spanish islands are an excellent choice for a summer vacation as the climate regularly pleases everyone looking for hot dry sunny days. Plus, they offer paradise like beaches with warm ocean waters, ideal for swimming and water sports. You can make your holiday complete with the experience of a sunset. While there are 7 Balearic Islands, 4 are popular among tourists, as they have the best hotels and attractions. Can you name them? They are Mallorca, Menorca, Ibiza and Formentera. With the clear skies of summer, the Balearic Islands are a great place to get the best free show in the World, the sunset. 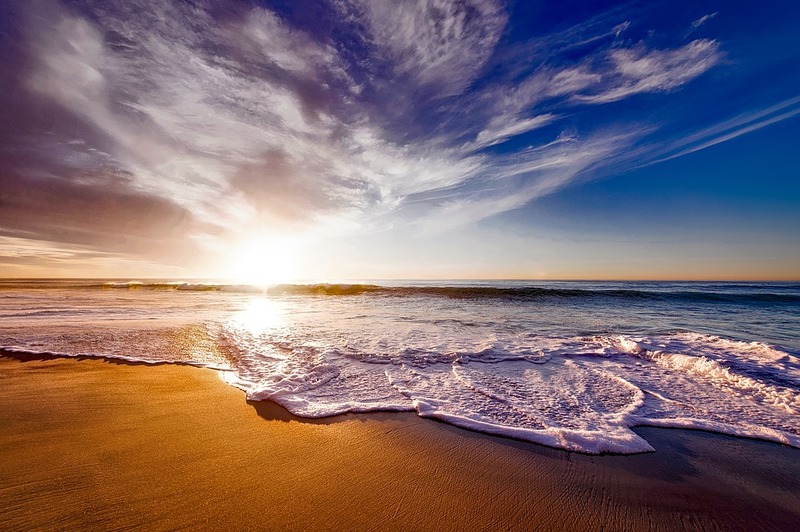 Here are our top picks for great locations to enjoy mother nature’s end of day routine. To enjoy the sunset with a lively atmosphere head to Sunset Strip, San Antonio. The bars here have a great and uninterrupted view over the Mediterranean Sea. The quieter bars passed the rocks offer great views without the crowds. For a unique sunset spot try and find the old watch towers on the coastal road, between Estellencs and Banyalbufar. The lesser known of the Balearic Islands is perhaps Formentera. While it doesn’t have the tourist pull of the DJ clubs of Ibiza or the glamourous nature of Mallorca. It can still provide an excellent holiday with outstanding views of the sunset. 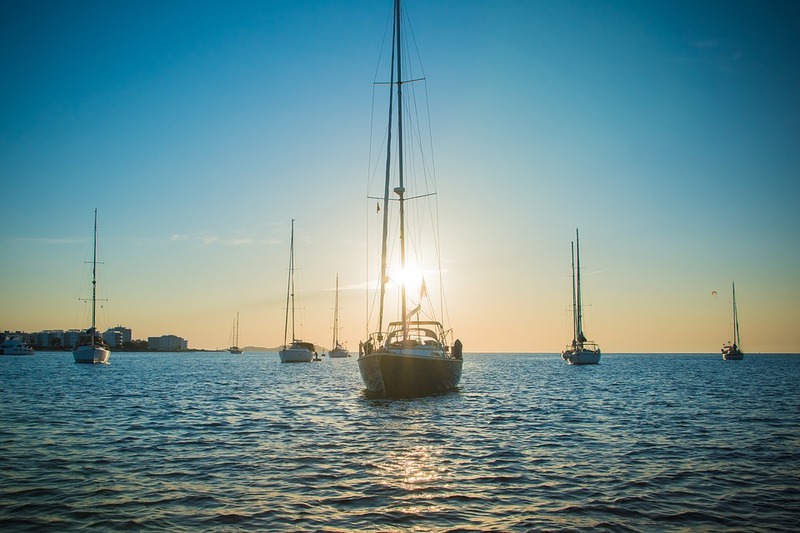 To add romance to the sunset watching experience, why not charter a boat? Imagine sailing gently across the warm sea water, with your special someone celebrating your holiday freedom. Then take a peaceful 30 minutes to admire the beauty of the day, as the sun gradually sinks until it completely disappears over the horizon. Then party on under the light of the moon. Another option is to book a table at Bonder and Co. It is listed as one of the best places to view the sunset. The magical sunset can be enjoyed with a refreshing glass of champagne in hand. Your third option, is to stand on the viewing platform at the Blue Bar. On the island of Mallorca, it is possible to admire the sunset close to the islands’ highest point, Port Adriano. Relax and enjoy the peaceful atmosphere and view. You can even take a pleasant walk through the pine forest which is nearby. You may even come across a few other great viewpoints. If it is convenient head the Cape Formentor, situated in the Northeast of Mallorca. Due to its location, it is perfect to gaze at the surrounding mountains, sea and of course the sun. To get to the very tip of Cape Fomentor you will need to navigate through some windy paths, but the end result will be worth it. It is advised to wear sensible shoes. If you want to experience the ultimate sunset view then check out the restaurant and bar, Sa Foradada, it claims to be witness to the best sunsets in the world. It is located on a cliff near to Deià. Menorca offers an accessible location to bear witness to the beautiful effects of the sunset. Monte Toro is the highest point on the island and is a popular sunset location, offering free parking and a gift shop. But you don’t have to drive there. It is also possible to cycle there. 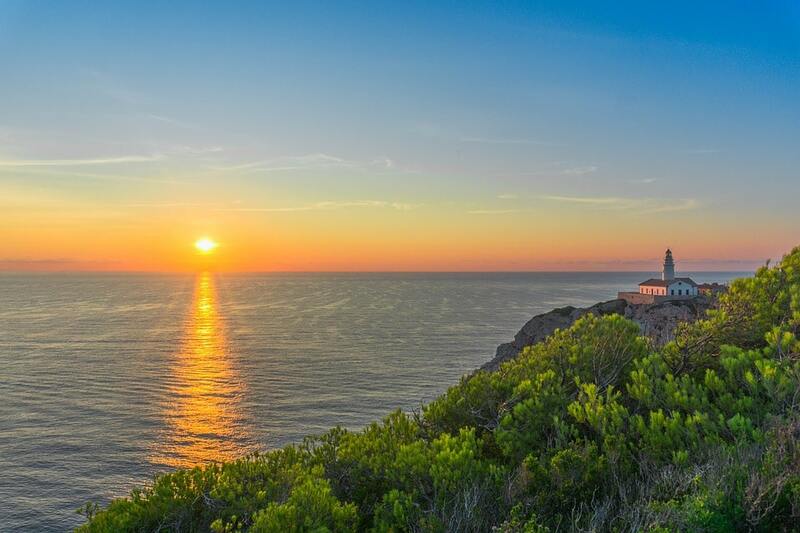 Menorca has two great lighthouses which can provide you with the ability to see the sunset in all its glory. The first is Cavalleria, but the Punta Nati Lighthouse is a lot more accessible. If you want to visit a lighthouse, decide which is more important to you, the height at which you view the sunset or the ease of getting to your desired spot? Punta Nati Lighthouse is the more popular choice and as a result you can expect more people, but this doesn’t spoil the magic. 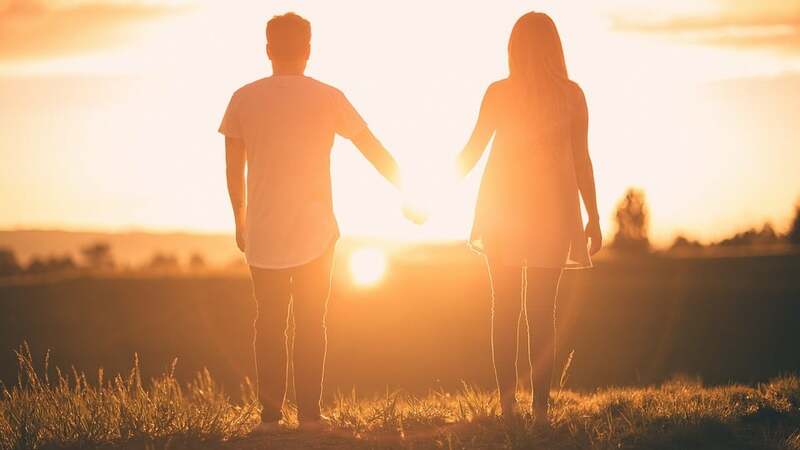 Whichever locations you decide to visit you can make it extra special with a picnic and if you are so inclined a proposal. Before embarking on your sunset adventure always check the sunset time, it varies from location to location and also day to day. We would hate for you to miss any of the magic, even by a couple of minutes. Interested in Spain? Check out Spanish Cuisine: Try These 6 Delicious Dishes! and Find Your Dream Wedding Location in Spain.